These programs are typically an hour and half long, once a week for a set number of weeks with a maximum of 6 qualifying participants. These participants receive physical, cognitive, emotional, and social benefits. Depending on the group, the curriculum includes ground horsemanship, therapeutic riding, or a combination of the two. Read below for more details. Ground Horsemanship program utilizes equine-assisted activities to enhance learning and development. 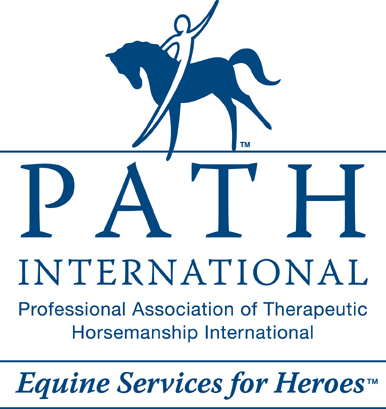 An individualized plan will be developed for ground participants focusing on horse husbandry skills including, but not limited to, grooming and tacking to healthcare to exercise. Therapeutic horseback riding is a recreational and sport-based activity that focuses on learning riding skills. The therapeutic benefits from horseback riding include, but are not limited to, physical, cognitive, emotional and social skills. Ground/TR combination program participants benefit from both the Ground Horsemanship program and Therapeutic Horseback Riding program each week.